the guess work out of finding your next customer. 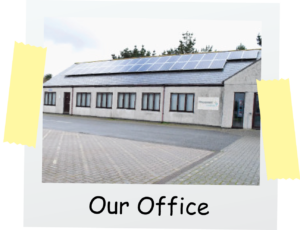 call centre based in sunny Cornwall. next campaign is a success. We understand your reputation is important. compliant lead generation & appointment setting. both TPS & CTPS Licence holders. Our services are fully GDPR compliant. Qualified and guaranteed appointment setting services generated in our in-house UK call centre. We specialise in appointment setting for financial services using GDPR compliant methods. For over 10 years we have worked with some of the biggest names in the financial services industry, generating more than 20,000 appointments so far. For over 10 years we have been providing client acquisition services, our lead generation service helps identify potential purchasers using the latest consumer surveys. Responsive, GDPR Compliant & competitive. A wide selection of accurate residential and commercial databases for your next marketing campaign. It has never been more important to source data from an ethical and compliant source for marketing campaigns. Proconnect only supplies GDPR compliant databases with complete traceability. We are the UK’s leading direct marketing and appointment generation company. Our aim is to provide high quality, genuine appointments and leads whilst retaining your brand integrity. Proconnect Marketing is an amalgamation of some of the UK’s most talented and intuitive direct marketing individuals, with over 20 years experience we can offer the very best service and results for your next marketing campaign. We will be closed from Wednesday 19th of December at 4pm until Wednesday the 2nd of January at 9am. Wishing all of our clients both old and new a very Merry Christmas and a Happy New Year from all of us here at Proconnect. How Are Business Databases Generated? Since 2008 we have been the UK’s leading client acquisition business. We have helped thousands of companies identify new customers across different sectors through lead generation and appointment setting. We believe in cutting-edge technologies and consistent staff training to ensure your business integrity is maintained whilst returning the best return on your investment. “We have been using Proconnect’s survey leads for nearly 10 years on behalf of our clients and have always found their leads to be of excellent quality.